Boating is an exhilarating and enjoyable recreational activity but many boat operators do not take proper safety precautions or have never taken adequate boating classes that would have otherwise informed them on how to enjoy the water safely and responsibly. When the actions of a boat operator cause an accident that claims the life of a victim, the family of the deceased has every right to demand accountability both for the loss of a loved one as well as the income that he or she may have provided to his or her family. 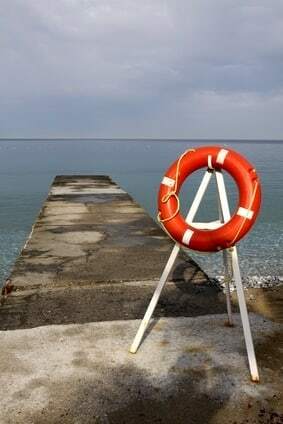 Rosenfeld Injury Lawyers LLC believe that no family should need to struggle to get by simply because another person’s actions took the life of a provider and are prepared to represent your interests in an Illinois boat accident wrongful death lawsuit. Most people assume that boating is safe and relaxing while failing to understand just how dangerous collisions with other boats or accidents that throw passengers overboard can be. Common causes of boat accidents include the following. Speeding— Just because you are on the water does not mean you should be allowed to operate a vehicle at dangerous speeds. Many boat operators exceed speeds that would allow them to safely maneuver or avoid a collision with another boat or object that may suddenly cross the path of the vessel. Lack of Operator Experience— While boating classes are available to anyone who wishes to receive the education, about half of the boaters involved in accidents never took the time to learn how to properly operate the boat and take proper precautions that would ensure the safety of passengers in the event of an accident. Mechanical Defect or Failure— Sometimes the cause of a boating accident has nothing to do with the operator but instead on the manner in which the vessel is maintained or designed. When mechanical failure results in an accident that claims lives, the manufacturer may be held liable as well as anyone responsible for the boat’s maintenance. Drug or Alcohol Abuse— It is unfortunate that drug and alcohol abuse is a hazard on water just as on land, but boaters often take their recreational drinking overboard. The result is slower reaction time and poor judgment— both of which may cause or be major contributing factors to a boating accident. Overloading the Boat— Every boat is designed to carry a specified load and boaters that do not understand the limitations of their vessels may allow more cargo or passengers on board than the boat can safely transport. The result can be disastrous as it may affect the ability of the boat to operate as intended or cause the boat to capsize and injure or kill those on board. Congestion— Chicago’s waterways are frequented by many private and commercial boats and peak traffic can make it more difficult to navigate. Boaters are at a much higher risk of colliding with other watercraft during peak traffic times than they are otherwise. Multiple factors may be at play prior to an Illinois boat accident. The boat operator may have been distracted or intoxicated, a passenger may have taken actions that were negligent and which endangered others or equipment failure may have made it impossible for the boat operator to navigate properly or avoid an accident. If you lost a loved one in a boating accident, it is important that you seek compensation from the parties that are truly liable and only a qualified personal injury lawyer can help you do that. The Rosenfeld Injury Lawyers LLC have experience helping clients just like you collect the compensation they are entitled to following the wrongful death of a loved one in a boat accident. Our attorneys would be honored to answer any questions you may have about your rights or how you would need to proceed with an Illinois wrongful death lawsuit following a boat accident. Contact us today to schedule a free consultation at any of our offices in the Chicago area so that we may review the details of your case and get to work performing our own investigation into the accident, its cause and any other details that may prove useful in your case. 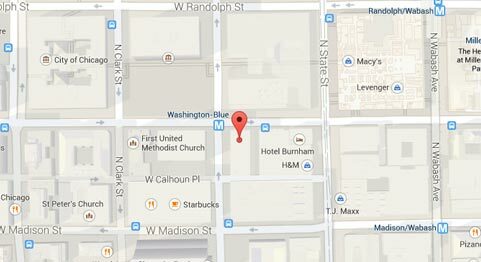 If you are unable to come to us, we will be happy to meet you at your location of choice. Should we be unable to assist you or fail to collect compensation on your behalf, our services will come at no charge or obligation to you whatsoever.